When it comes to entertainment cannon is a myth. No matter what any producer or director or publisher tells you anything that happened to your favorite characters, whether in a novel or a reboot or a video game or an animated short, happened to those characters. Because, you know, its fiction. And the idea of trying to dictate which elements of fiction did and didn’t happen is preposterous. One of the best things about comic books in particular is that the longevity of the medium’s hallmark characters allows each individual reader to develop and refine their own personal history for their favorite decades old superhero. Maybe there are crucial moments in Batman’s history you choose to ignore, like the time he turned into Spawn in the mid-90s. Maybe there are obscure elements of the character’s history you choose to amplify, like Zur-En-Arrh. Maybe your Batman was born under the eye of Christopher Nolan. Maybe your Batman was conjured up by the pen of Frank Miller. Maybe your Batman will be born this fall on the new Gotham television series. Whatever your preference they’re all Batman. As of last week, my Batman was born in Zero Year. 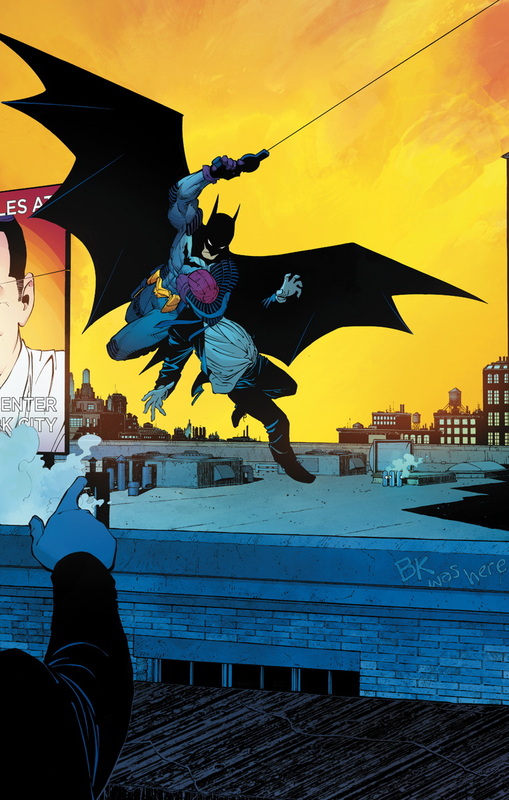 The twelve-issue retelling of Batman’s origins by writer Scott Snyder and artist Greg Capullo (which concluded in Batman #33 last week) didn’t seek to drastically redefine the Dark Knight. 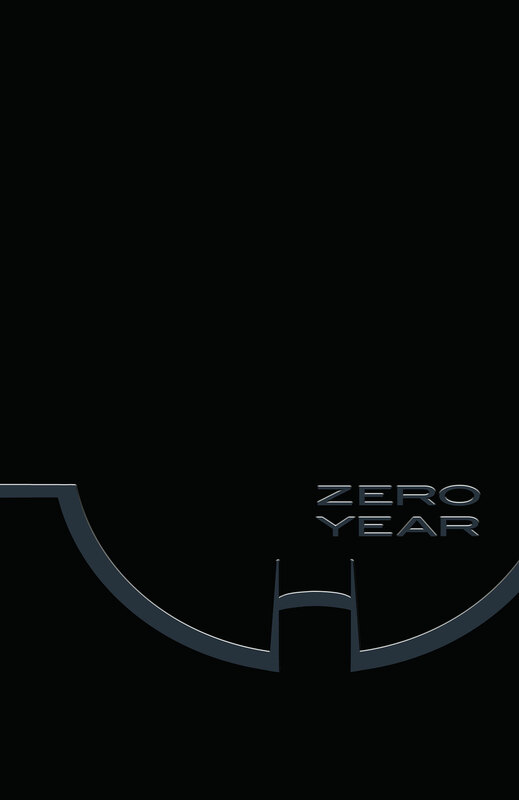 Rather, Zero Year tells an updated origin story that actively conjures the spirits of Batman’s most famous iterations from throughout the character’s 75 year history and blends them into one profoundly current narrative. Sure, the Batman of Zero Year is driven by a psychological compulsion Frank Miller so masterfully focused on, but he also crusades about a Gotham that evokes the gothic art deco of The Animated Series and the architectural grandeur of the Dark Knight Trilogy. And while Zero Year utilizes a distinctly Nolanesque three-act structure, colorist FCO Plascencia’s vivid palette recalls the 1960s Batman television series. Zero Year takes Batman’s entire mythology, from purple gloves and bat-pole references to abject horror and psychological torment, and stirs everything into one pot. 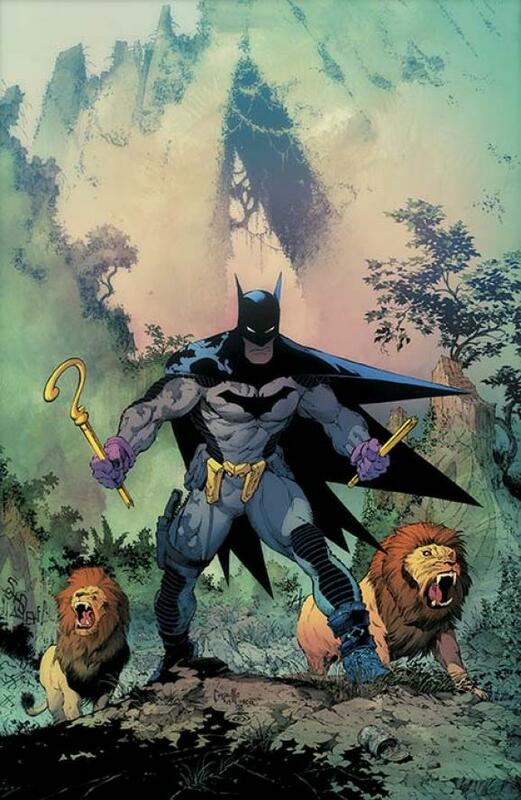 But while any piece of fan fiction could certainly cobble together Batman’s history, Zero Year succeeds in its characterization, dialogue, scope, amount of lion fights and most importantly its awareness. Zero Year is told with an active awareness that it is not the first, nor will it be the last, telling of Batman’s beginnings. It’s an awareness that for some readers its pages will be doctrine and for others they’ll be ignored completely in favor of Year One or some other origin story. It all comes back to the idea that superheroes and comic books are fiction and readers are going to concoct their own histories and timelines for Batman regardless of any attempt at official continuity. It’s an idea that Zero Year embodies in its portrayal of Gotham City. Snyder and Capullo aren’t offering a different Batman. He’s younger, cockier and less experienced to be sure, but you’ll never question his authenticity. Their Gotham, however, is unlike any other in that it is distinctly of the moment. It isn’t a city from 1939 or 1987 or even 2012. This Gotham exists today, here and now. It’s a city that fears random, unpredictable shootings and super storms and it’s a city that, to its own detriment, deeply internalizes those fears. The villains of Zero Year (Red Hood One, Dr. Death, The Riddler) offer distinctly personal and internal assaults. They attack Gotham’s citizens’ identities, their skeletons and their minds, and as a result Batman responds differently than he would in Miller’s Year One, in which his enemies are the distinctly external forces of corruption, organized crime and general urban decay. From the beginning Zero Year makes a point of portraying Gotham as a city of today and as a result Snyder and Capullo have yielded a Batman specifically for 2014. But by the end of Zero Year this Gotham of the moment, with its myriad historic influences, is literally rebooted, and while we spend nearly 12-issues with the Gotham of 2014 we’re given almost no time to explore this final rebooted Gotham that occupies the story’s final pages. In fact, all we’re left with is the knowledge that there is still a Wayne Enterprises building and that the city is, if nothing else, new. It’s a blank slate. A blank Gotham. Any Batman story could follow Zero Year because it’s just that masterful a beginning.